Are there any difference between brain tumor symptoms in women and men? The answer is “no”. However, it is true that someone who is suspected of having brain tumor may experience certain signs or symptoms although any symptoms that are follow may be cause by other things like medical condition. When it comes to brain tumor, its symptoms can be specific or general. A general is mainly caused by the tumor itself, which give pressure to the spinal cord or brain. Furthermore, specific symptoms may also occur when a part of brain is not working perfectly due to the tumor. An approach which often called a multidisciplinary team is needed in order to treat people with brain tumor. Within such approach, a few doctors work together and create an overall treatment plan which combines different types of care. The team will include several specialists including dietitians, counselors, pharmacists, social workers, oncology nurses, physician assistants and others. 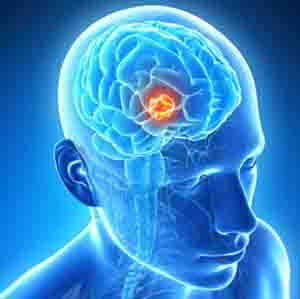 Some types of brain tumors grow slowly while the others grow rapidly. This factor play a role on how treatment should start after diagnosis has finished. In a low-grade brain tumor, surgery alone is enough to remove the cancer completely. Radiation might be needed if a visible tumor left after surgery. As for higher-grade tumors, treatments are usually combined from chemotherapy, radiation therapy, and surgery.